A startup incubated at the Indian Institute of Technology, Hyderabad has developed a device that promises to offer considerably better rehabilitation for those suffering from impaired upper arm movement due to different conditions ranging from fractures and frozen shoulders to traumatic brain injury, multiple sclerosis, cerebral palsy and brain stroke. The device — ArmAble — seeks to make the task of exercising of the upper arm from being a chore to being fun filled. 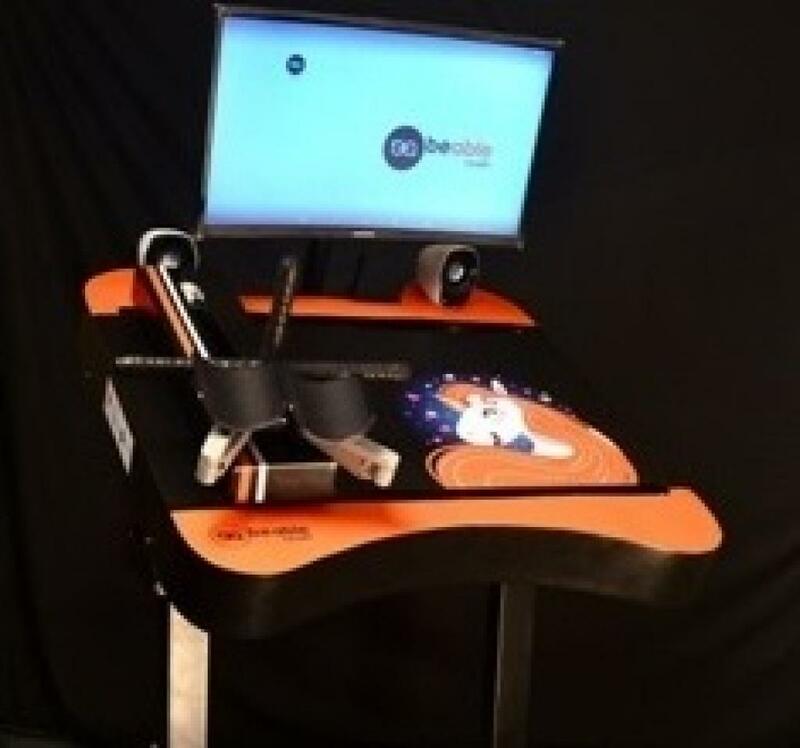 It consists of a console on which several games keep playing out one after the other and the patient seated across has to move a bar designed in the form of a bike handle in accordance with them. The new device promises to overcome this problem. “We have loaded our console with a large number of games developed exclusively for upper arm therapy. They make the exercises more engaging and fun filled,” added Ali. The device has another interesting feature. It is tele-rehabilitation enabled. It can connect the therapist to patients remotely through a cloud platform. The therapist can fetch movement data such as patterns, speed and accuracy from the device and thus monitor the progress of the patient's recovery. Ali hit upon the idea while undergoing a healthcare entrepreneurship course at IIT-Hyderabad. “Mentors at Biomedical department IIT-H helped me in putting together the device and realising my dream”. The device was initially tested for usability by 12 patients at Sahara Disability and Rehabilitation Centre at Sangareddy in Telangana. A clinical study is being initiated at School of Allied Health Sciences at Manipal University, Karnataka and is in the process of expanding its clinical studies across the country. “The results so far are satisfying and we are planning to go in for commercial production by the end of July 2019,” he added. Stroke is a leading cause of disability world over. In India alone, more than 1.8 million cases of strokes are reported every year. Worse, more than 80 per cent of patients suffered weakness or paralysis of one side of the body.